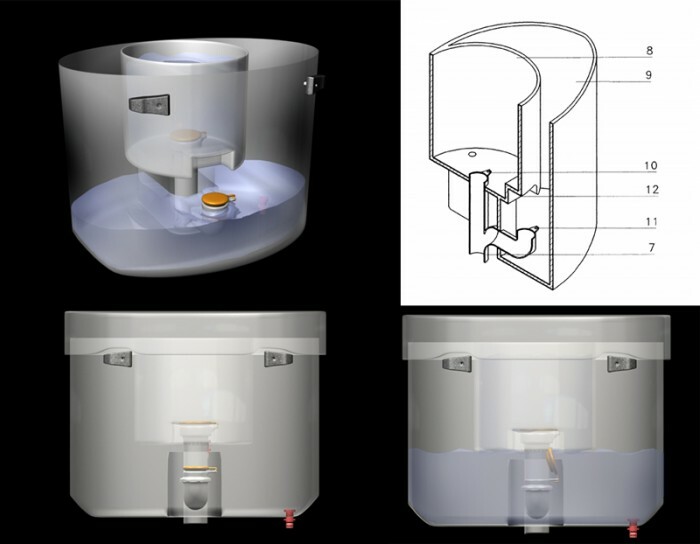 A double-cistern water conservation sanitary water tank comprises two tanks: an external oval tank (9) for evacuating solid waste and an internal round tank (8) for flushing liquid waste mounted within and at a level above a bottom wall of the external oval tank (9), and two actuating handle for operating the tanks. 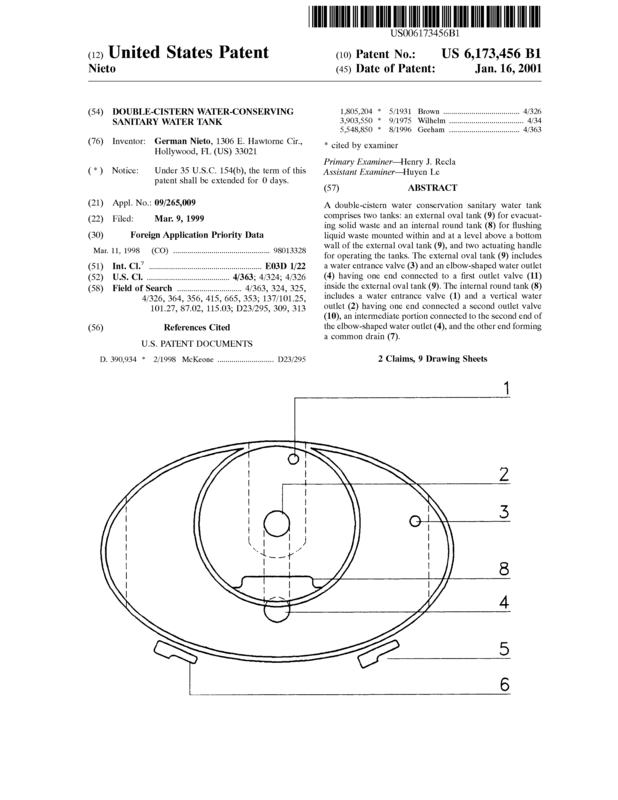 The external oval tank (9) includes a water entrance valve (3) and an elbow-shaped water outlet (4) having one end connected to a first outlet valve (11) inside the external oval tank (9). The internal round tank (8) includes a water entrance valve (1) and a vertical water outlet (2) having one end connected a second outlet valve (10), an intermediate portion connected to the second end of the elbow-shaped water outlet (4), and the other end forming a common drain (7). payment for a patent license and royalties. Page created at 2019-04-25 14:01:18, Patent Auction Time.